Our customer is a multinational bank and the largest commercial bank in Pakistan, in terms of assets. The company, which is headquartered in Karachi, Pakistan, provides consumer, corporate and institutional banking as well as treasury services. As of 2018, the bank has more than 1750 branches, with presence in over 25 countries spanning across four continents. The bank has more than 2000 Automated Teller Machines (ATMs) all across the globe and wanted a solution to predict the cash-flow management for those ATMs. They chose us to develop this cutting edge solution because of our experience in developing innovative technology solutions and expertise in enterprise systems. Based on the bank's requirements and suggestions, we crafted a sophisticated solution that out performs others in market predictive solutions. 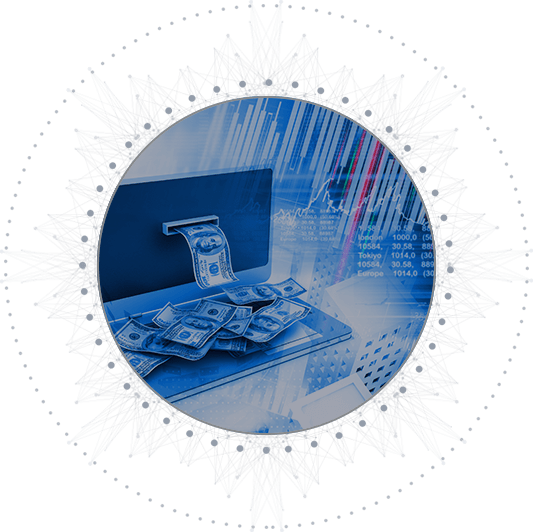 The solution offers an approach which resolved the overall problems faced by the Bank, in terms of the cash flow management for ATMs and resulted in the ATM management profits to increase up to 6%. We started Folio3 Software with the mission to bring innovation, integrity and agility – the Silicon Valley start-up genes – to the software services industry. We wanted a software services company that we as entrepreneurs and executives would ourselves partner with. When nothing quite met expectations,we built one ourselves. ATMs have brought a significant change in the way banking transactions are performed every day, availability of the correct amount of cash in every ATM machine is a major cause of concern for all banks. By predicting the appropriate amount, which also fulfills the guidelines of the central bank, is essential for commercial banks that are required to maintain a minimum amount of cash in their ATMs to maintain customer satisfaction; our solution helped the bank to effectively overcome this concern. This solution directly answered the optimization aspect of cash flow management for ATMs, as it addressed the problem of availability and optimization of ATM cash management. We crafted a sophisticated solution which outperformed other existing predictive solutions and increased the ATM management profits up to 6%. The system also helps the bank in avoiding both, out of cash and over stock situations. When it comes to commercial or corporate banking, time is of essence and valuable to the utmost extent. Our system effectively provides automated analysis of past transactions in order to predict the required amount of money for individual ATMs. This automated solution also offers notifications and timely reporting in order to predict the trend and pattern of cash withdrawal from specific ATM locations. In this era, when consumers have many choices, customer retention is a key factor in the eventual success of any business. Therefore, the variation in the cash demand and forecasting is very crucial for banks, specifically in relation to providing up-time services for ATMs which can result eventual customer satisfaction. Banks endure various costs, including the insurance and administration cost for cash under the machines. Forecasting the cash flow with patterns/trends and real-time data makes the solution accurate and cost effective. It is a per-ATM cash outflow predictor that proposes LSTM-based deep learning models on time-series data. What do we have to show for it all? Clients (banks, booksellers, software giants, game start-ups) that trust and value us enough to be our best spokespersons. Web and mobile solutions made with love, integrity and lots of caffeine. Employees who understand the dual commitment at Folio3: Customers first, Employees forever. Thanks to the efforts of Folio3 and our partner Fidel AI, the solution of ATM Cash Forecasting has enabled the bank to substantially improve its overall cash flow management for ATMs, while meeting the stringent security requirements demanded by the industry.